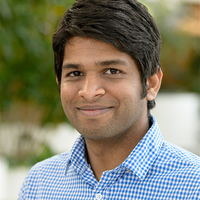 Sandeep Madireddy is a postdoctoral researcher in the mathematics and computer science division at Argonne National Laboratory. His research interests span the areas of probabilistic machine learning, uncertainty quantification, and high-performance computing. His current work is focused on developing machine learning approaches to address key challenges in scientific data analysis across application domains as well as performance modeling of leadership-class systems. Before joining Argonne, he obtained his Ph.D. in mechanical and materials engineering from the University of Cincinnati where he was awarded the P&G Simulation Technology Scholarship and the Dean scholarship.